Alliance brand 48gm thermal rolls that can be used for Humphrey or Marco brand autorefractors and lensometers. Roll measures 2.25" x 85' with 0.5" core and has red end of roll indicator. 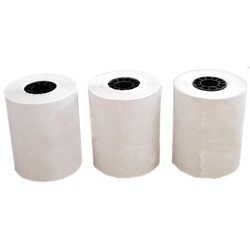 1 ply white paper provides crisp, clear, black images. Comes 3 per pack.